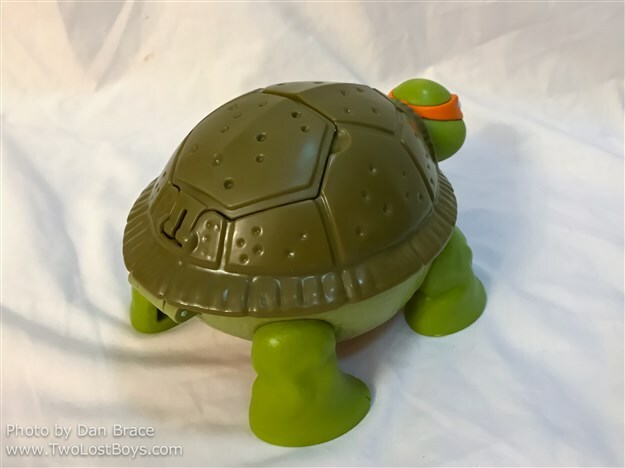 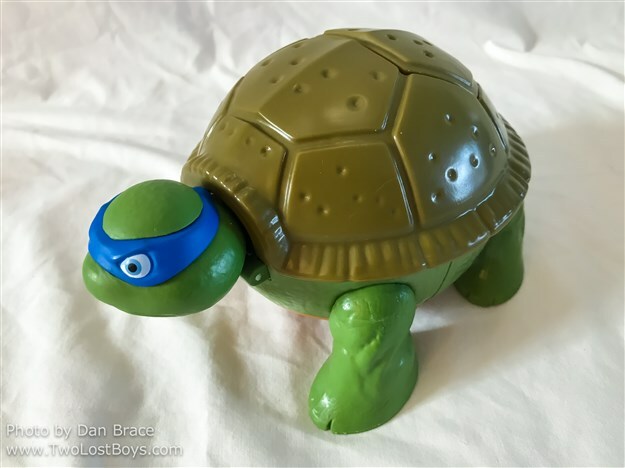 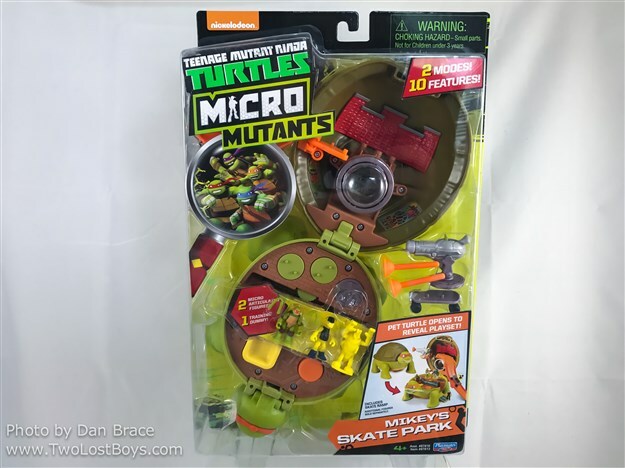 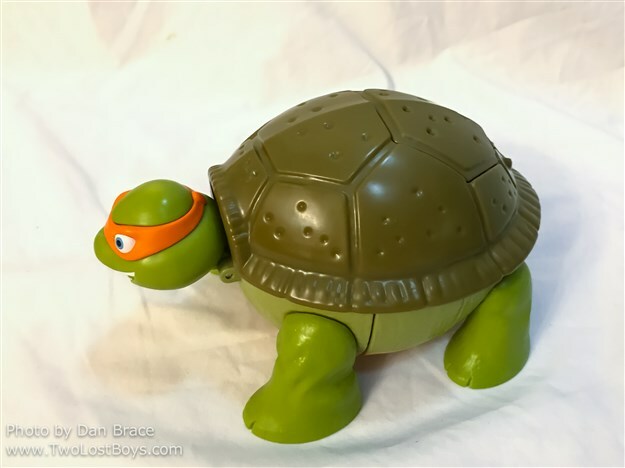 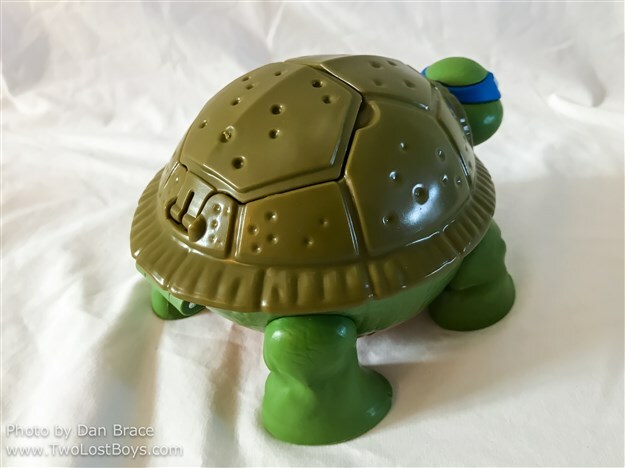 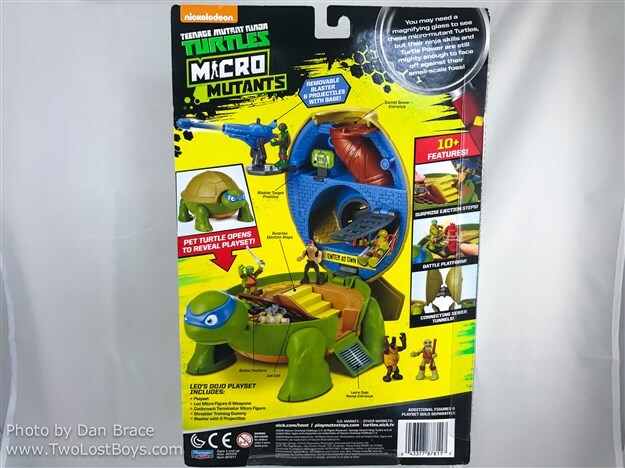 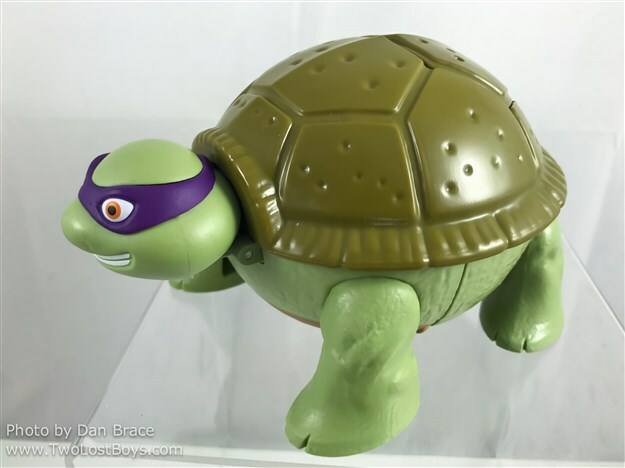 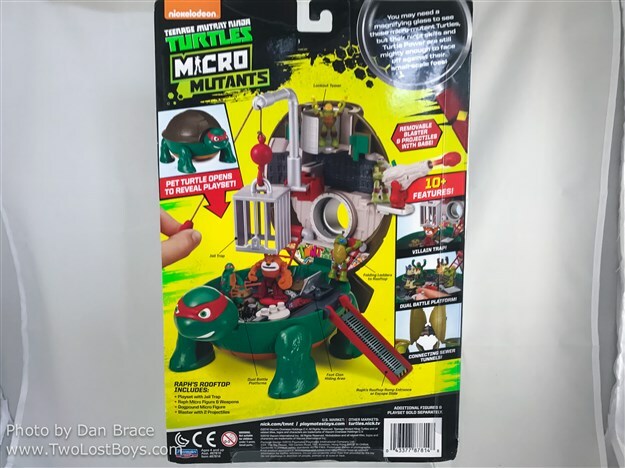 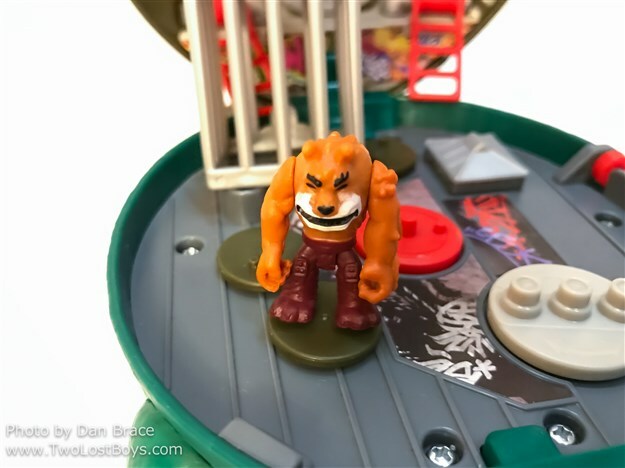 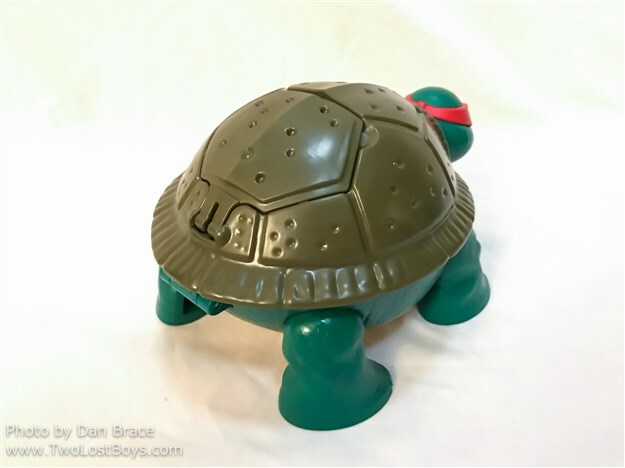 Since Playmates Toys have held the license to the TMNT they have always produced some sort of miniature versions of the characters in one way or another, with their most recent line being based around the current (and soon ending) series that is airing on Nickelodeon. 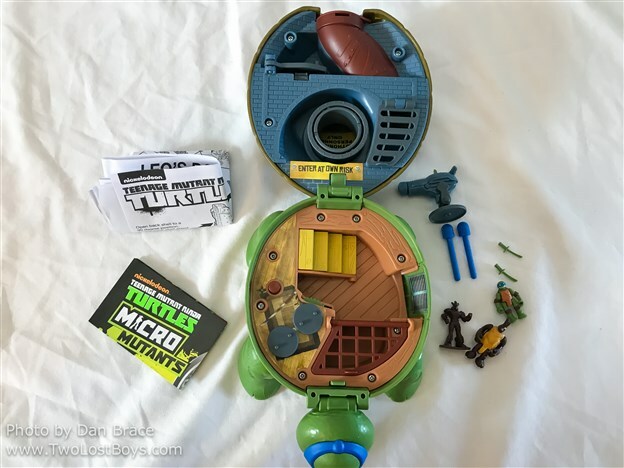 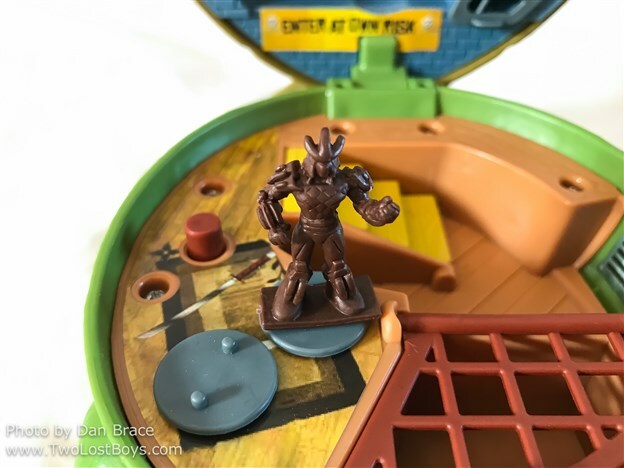 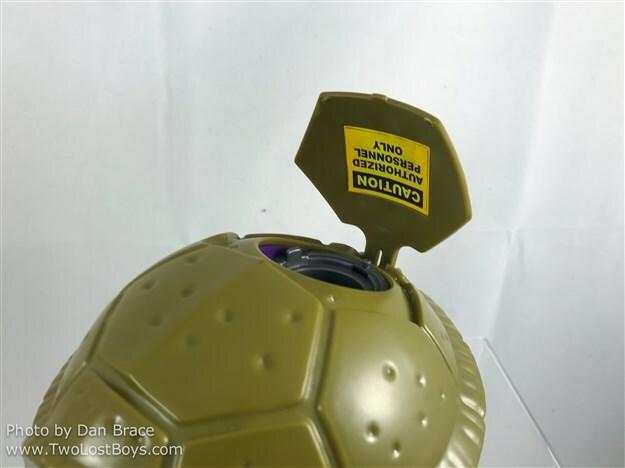 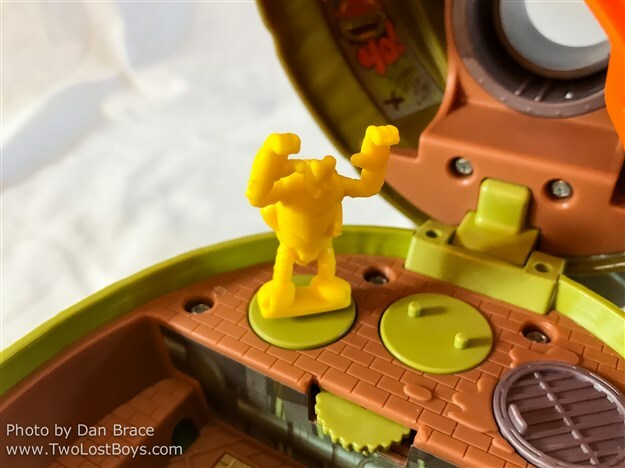 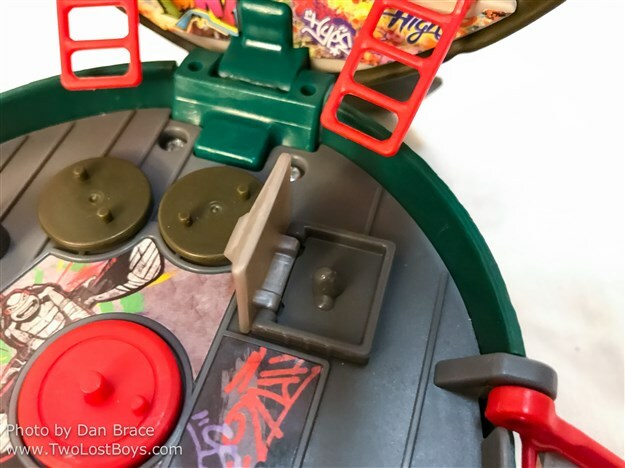 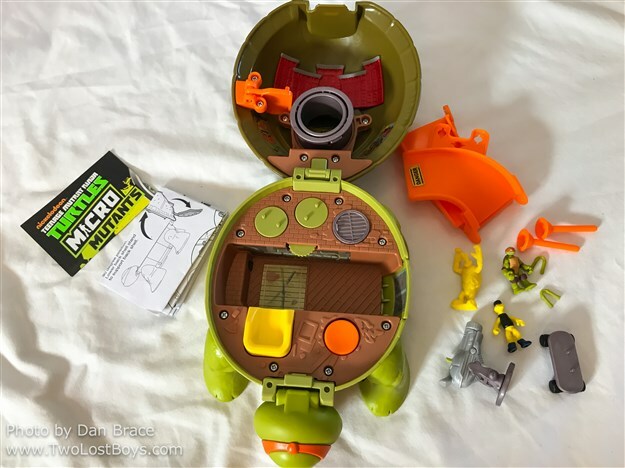 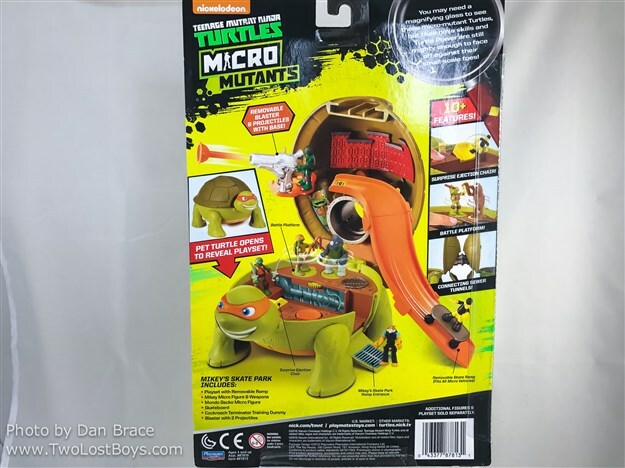 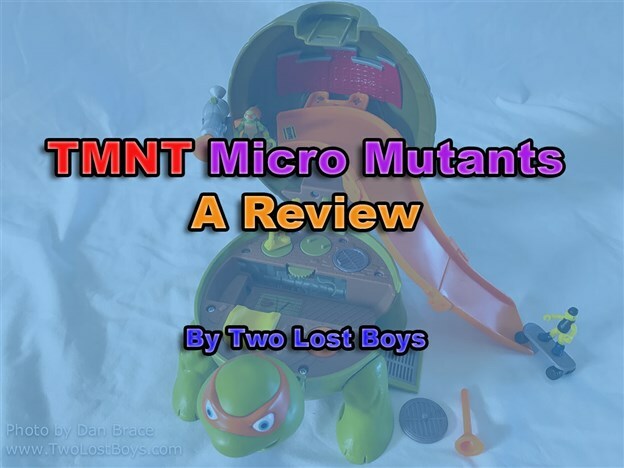 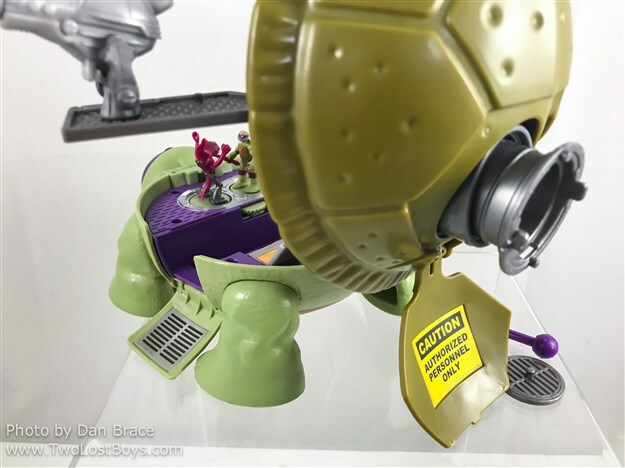 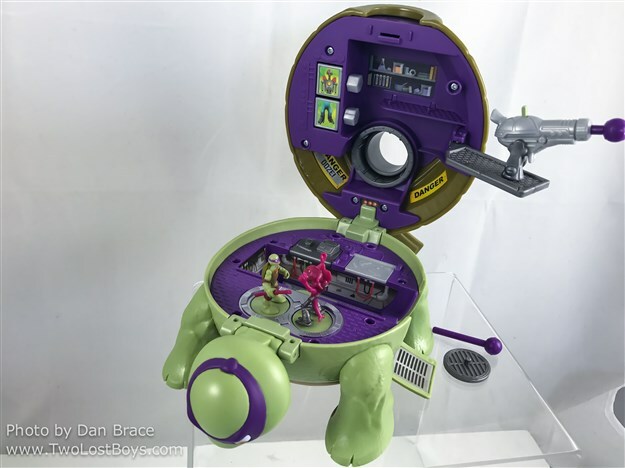 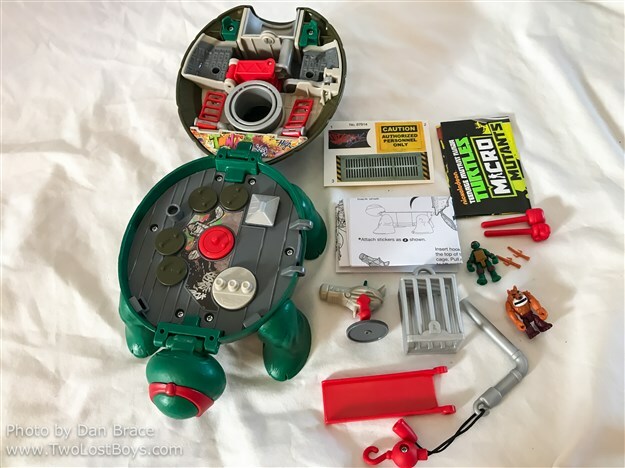 There are actually a good number of products in this range, with varying degrees of interactivity, detail and accessories, but I was mostly interested in the four "core" TMNT play sets. 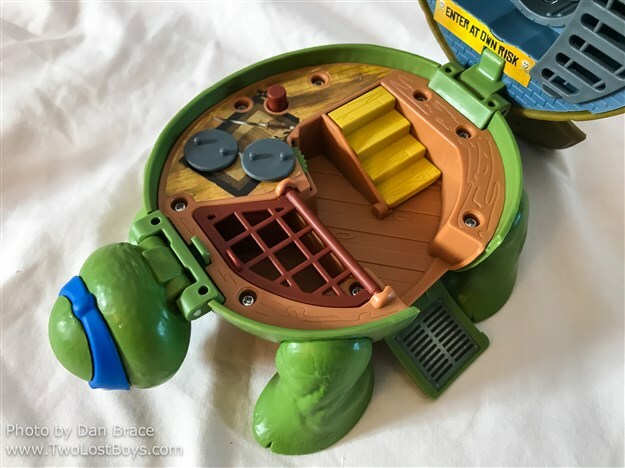 There are four play sets that are based on each turtle, which open up to reveal a scene inside. 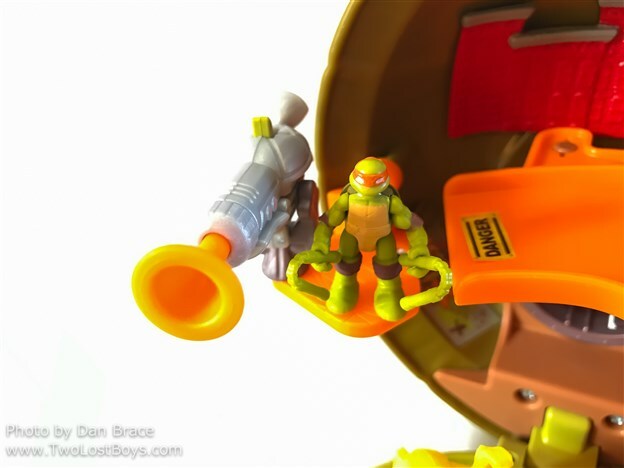 I'll share photos of all the sets first, then review them altogether at the end. 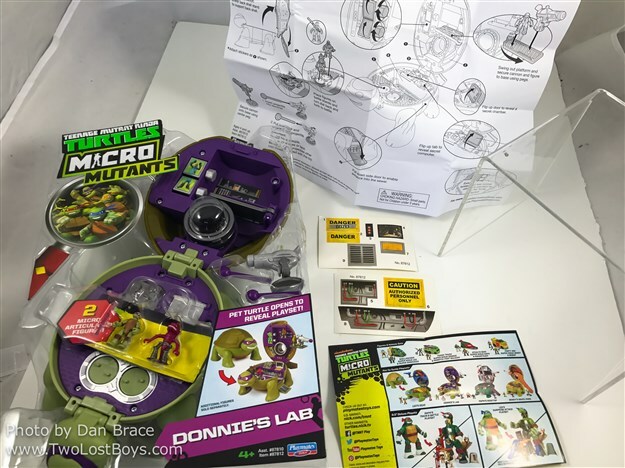 Let's begin this review with Donnie's Lab. 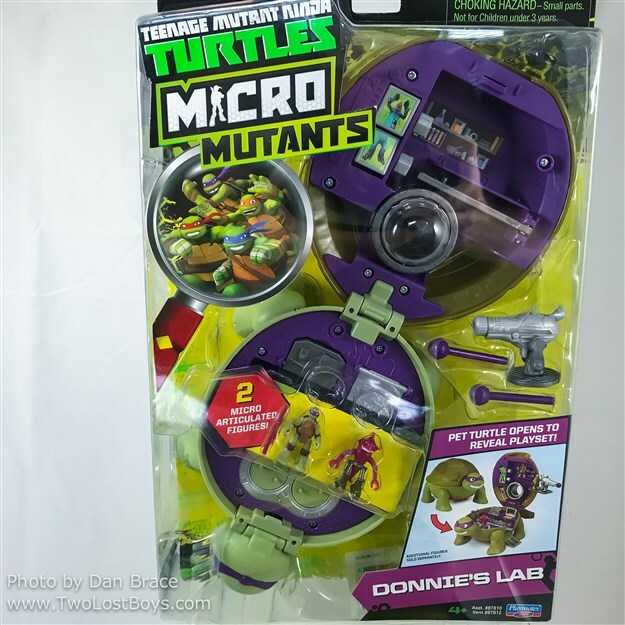 This set retails for around $20 (retailers vary), and can be purchased on Amazon, here. 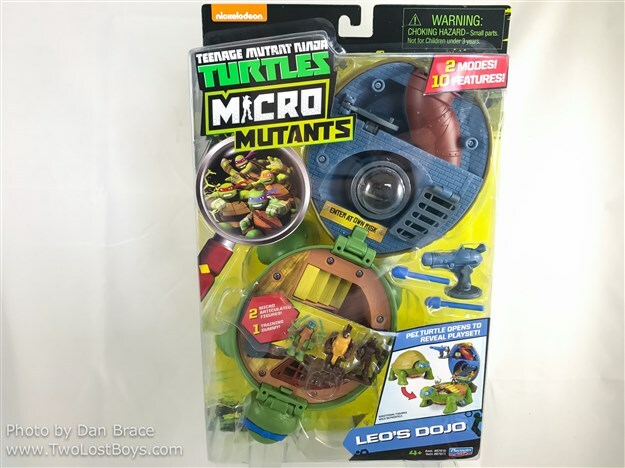 Next we have Leo's Dojo, which retails for around $20 (retailers vary), and can be purchased on Amazon, here. 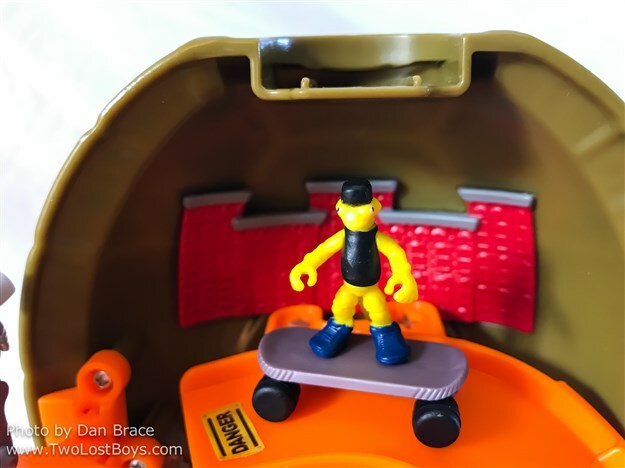 Next we have Mikey's Skate Park, which retails for around $20 (retailers vary), and can be purchased on Amazon, here. 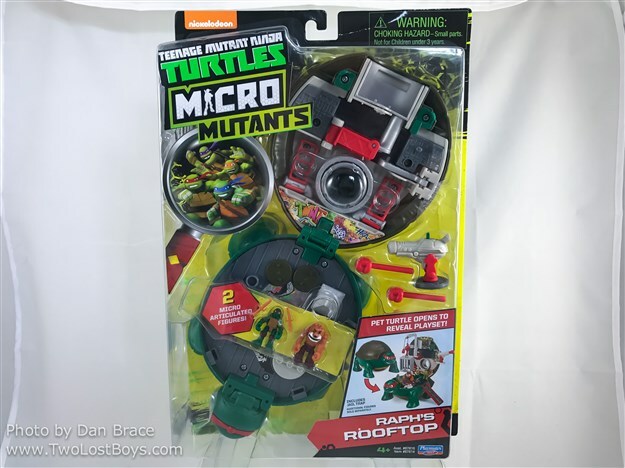 Finally we have Raph's Rooftop, which retails for around $20 (retailers vary), and can be purchased on Amazon, here. 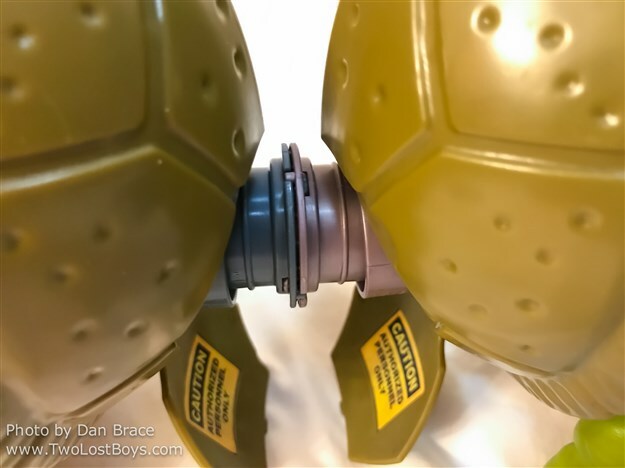 I have to say, I really love these! 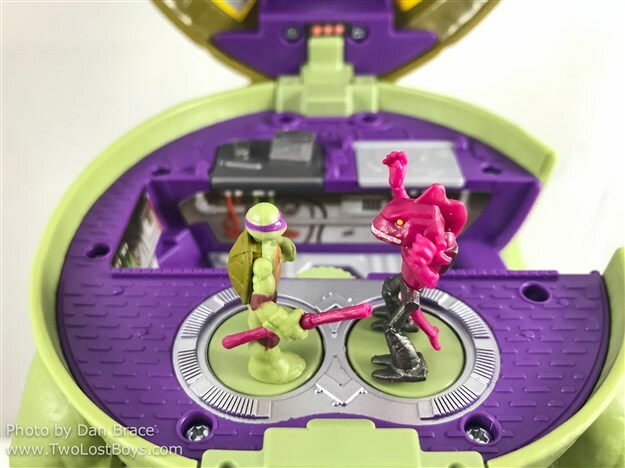 They are pretty cool. 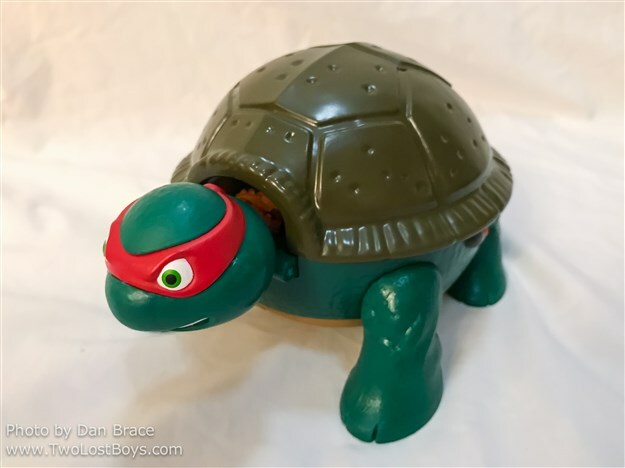 I can't honestly say which one I like the most! 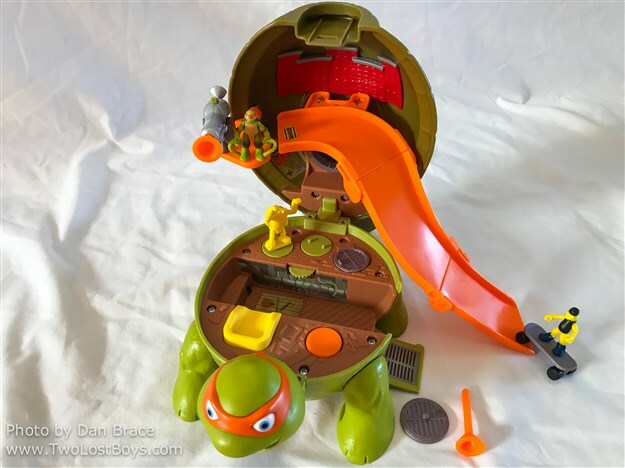 I really love the slide in Mikey's Skate Park, and the cage in Raph's Rooftop is pretty neat. 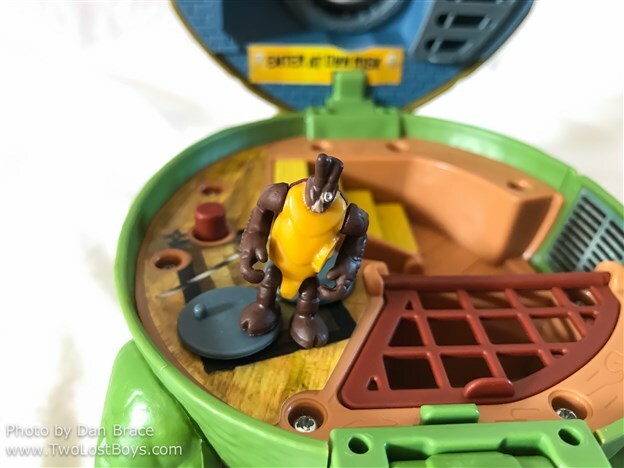 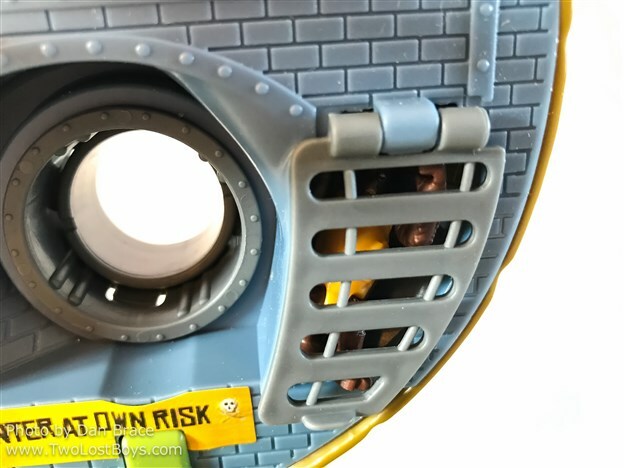 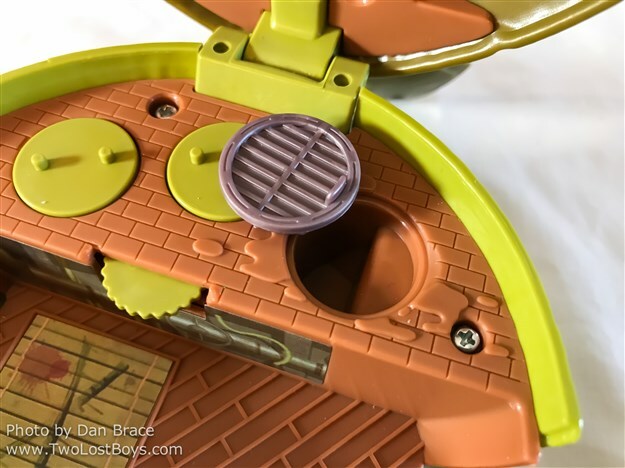 I also really like the manhole cover that opens up into a slide in the Leo set. 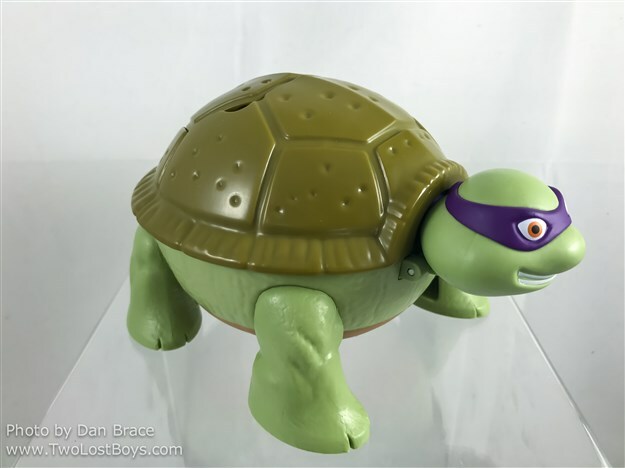 I just wish that the Shredder figure had not been a "training dummy", but instead had been Shredder himself. 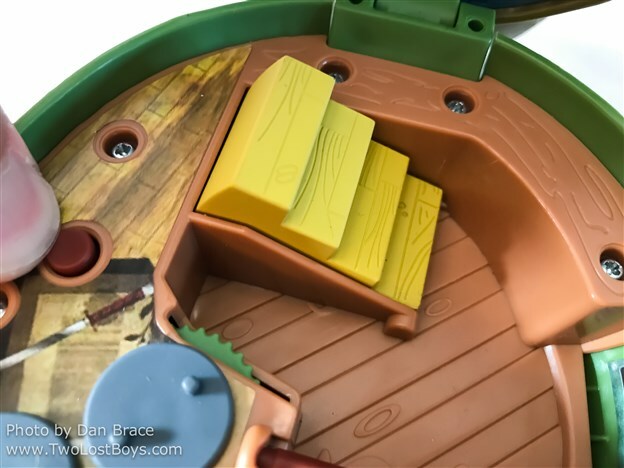 Each set has a cannon that fires, and turntables to places the figures on in combat. 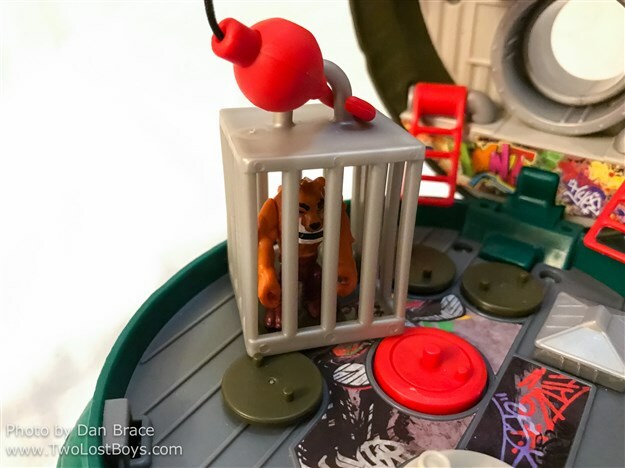 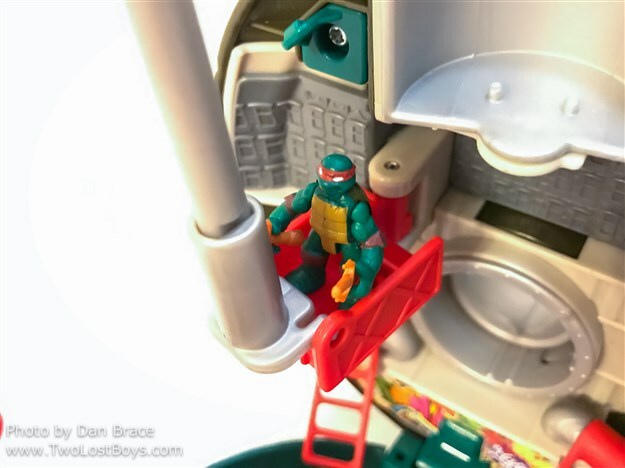 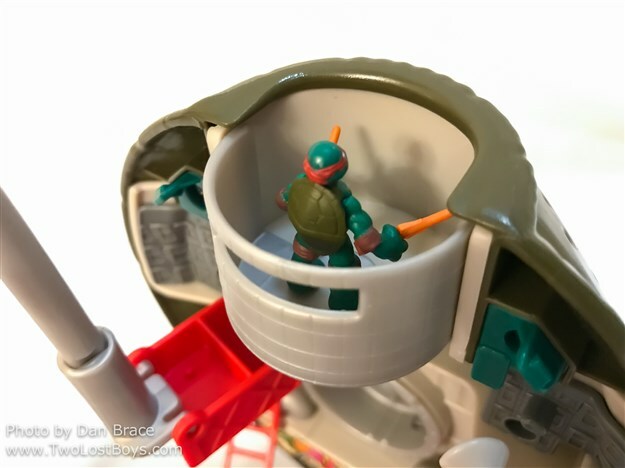 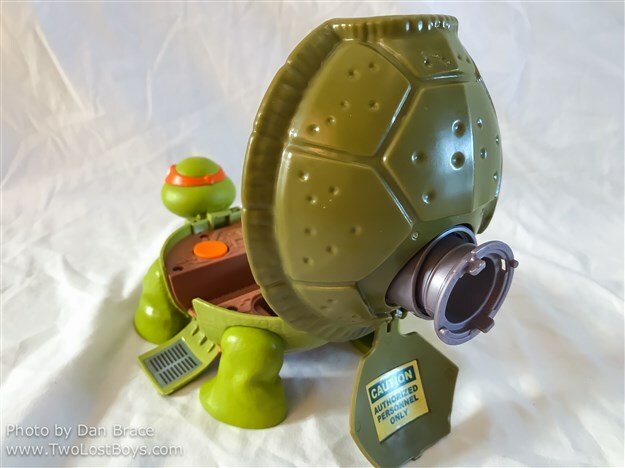 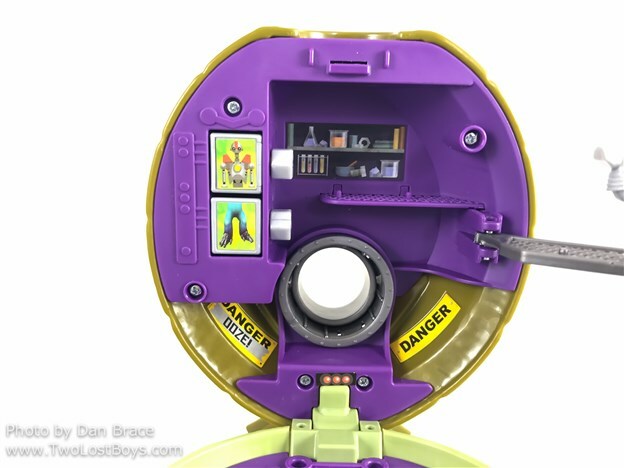 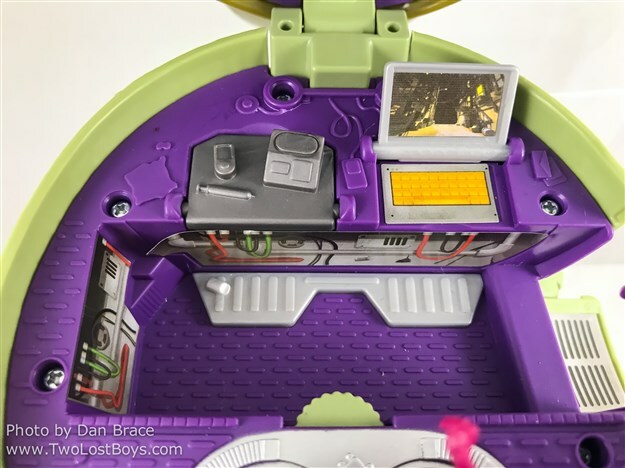 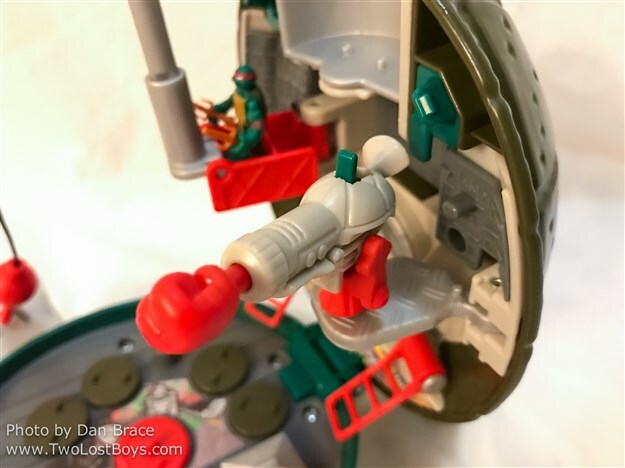 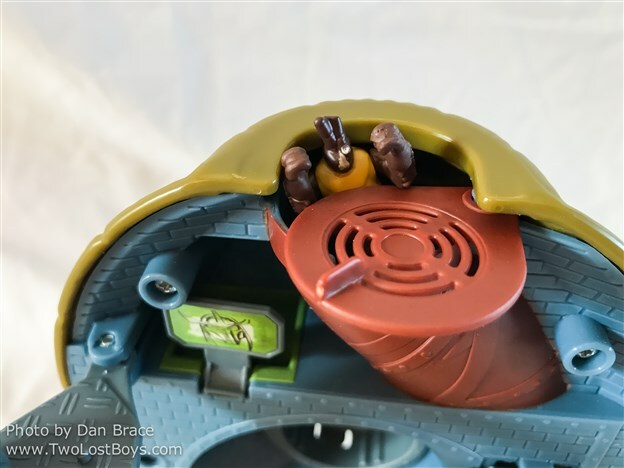 There are some hidden compartments, too, such as the tube that spins around in the Raph set, and under Donnie's workstation in his set. 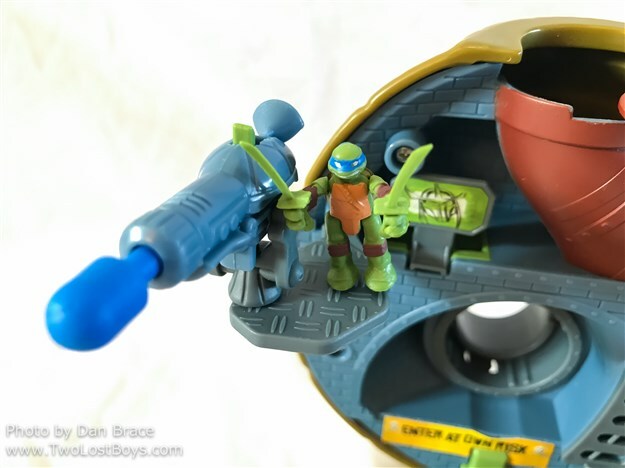 I will admit, one thing that grated me about these sets was the fact that there were stickers to place. 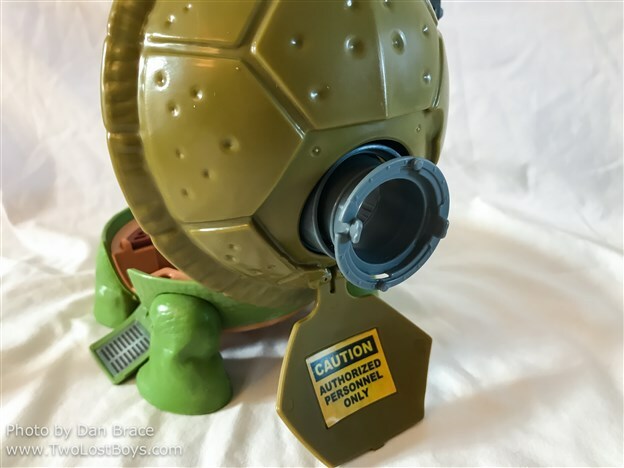 Anyone who has followed my blog for a long time will know my loathing for toys where you have to place stickers yourself. 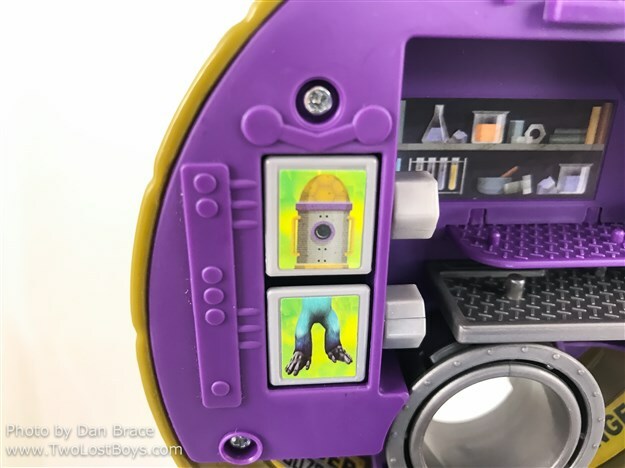 It's SUCH a pain! 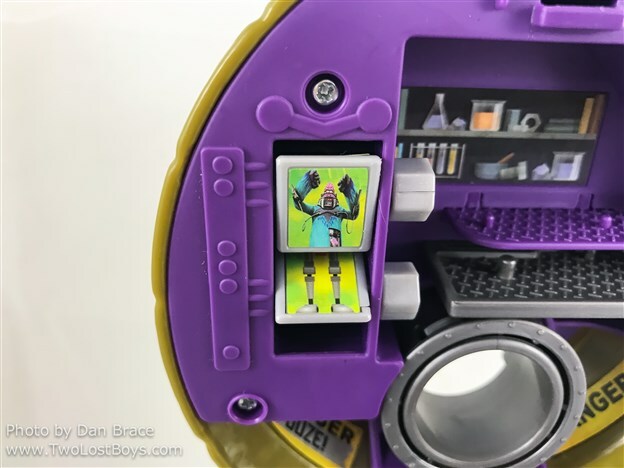 You can never get them dead accurate, and it bothers me that they might end up off centre, or if you try to peel it off to correct it, you end up ruining it! 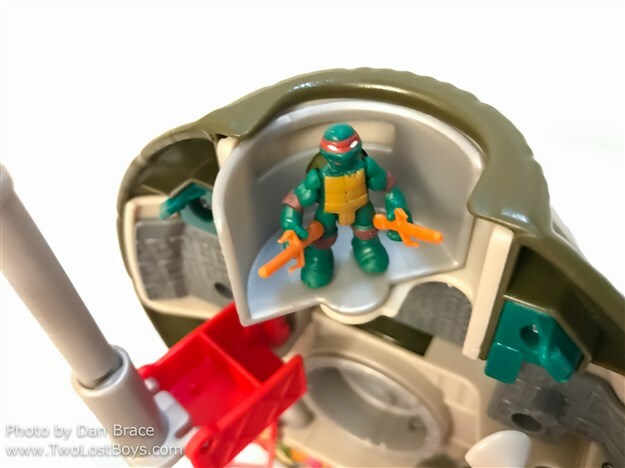 What's even stranger in the the case of these sets is that some stickers were already placed - they really couldn't just do all of them?! 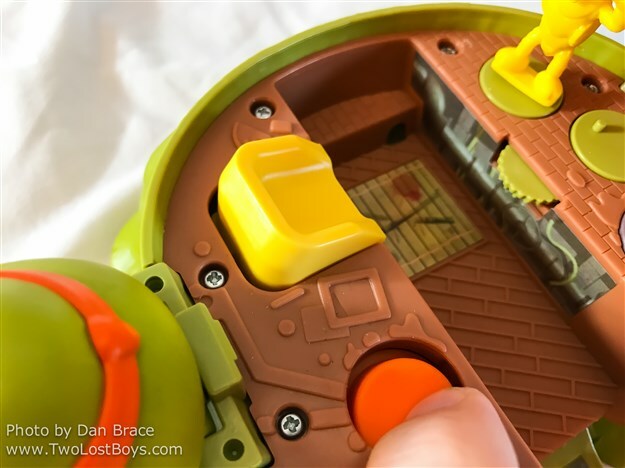 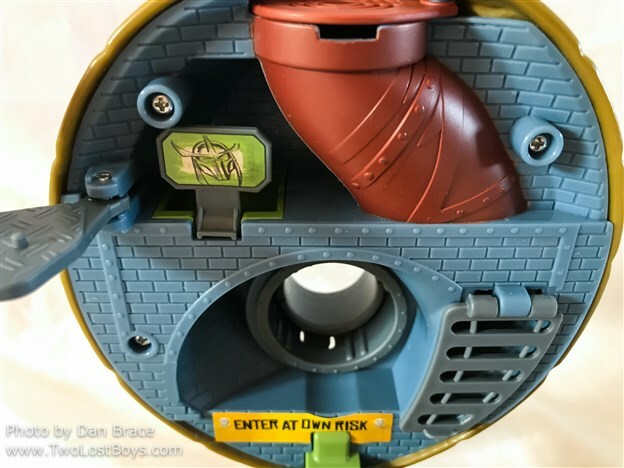 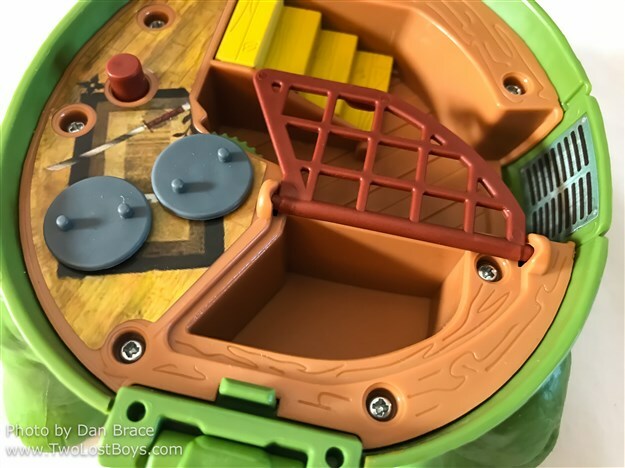 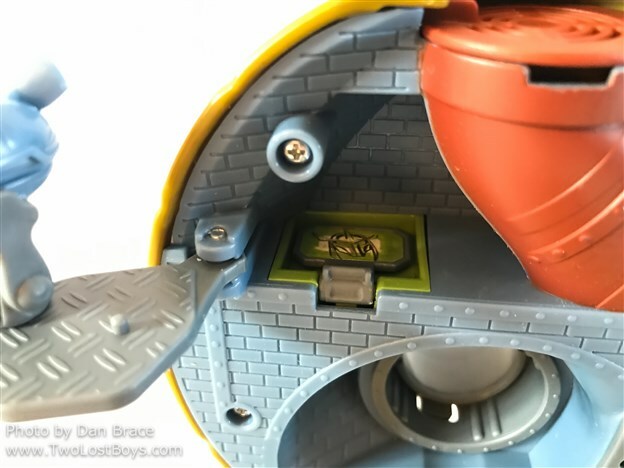 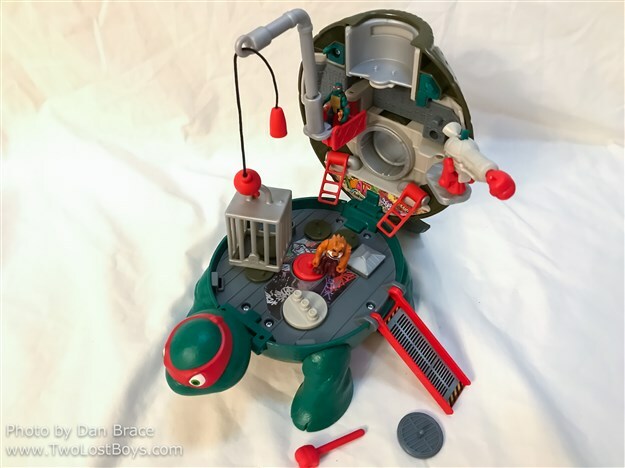 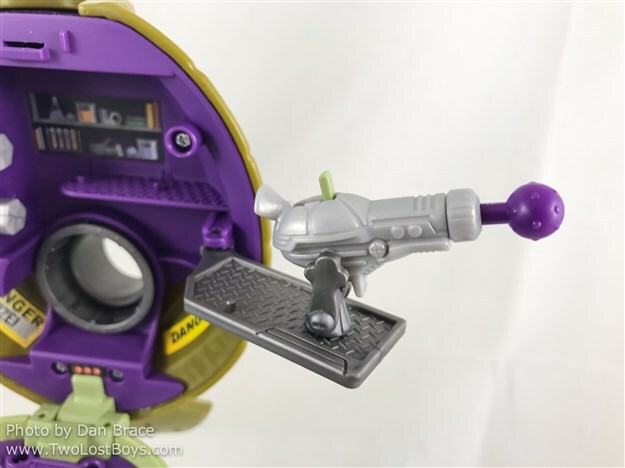 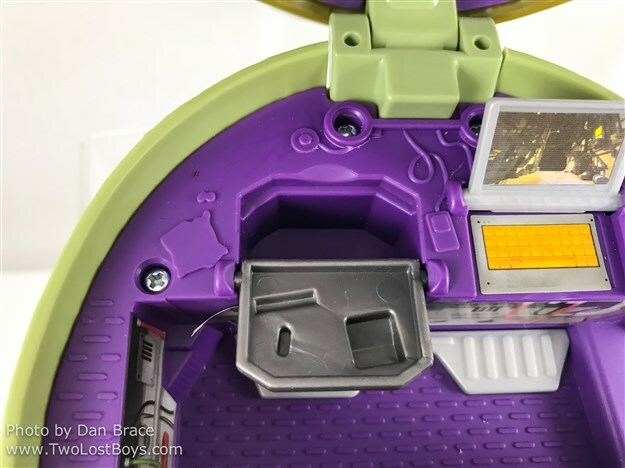 Each set has a door on the top of the shell that opens up, through which there is a sewer tunnel that can be extended and connected to another set, as per the photos below. 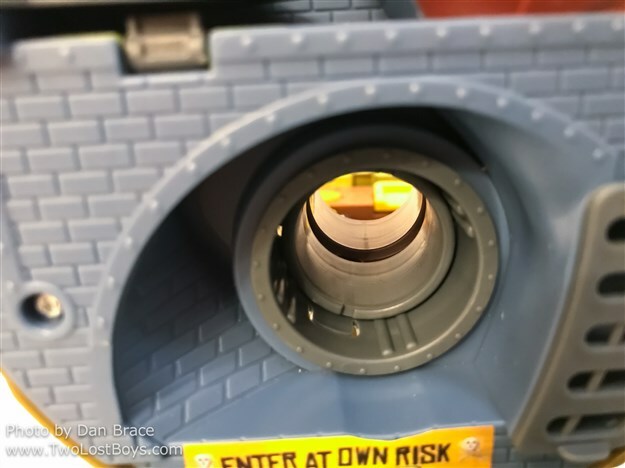 If you have any questions or comments, you can leave them in the Disqus section below.